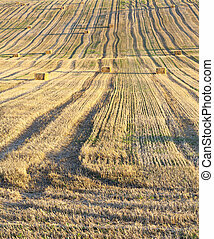 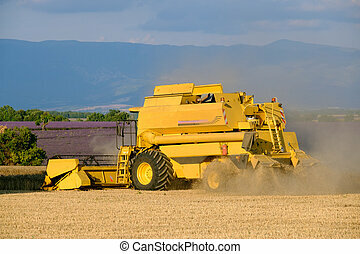 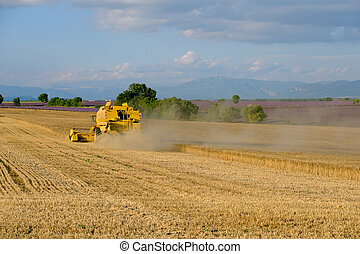 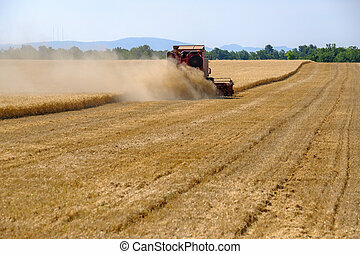 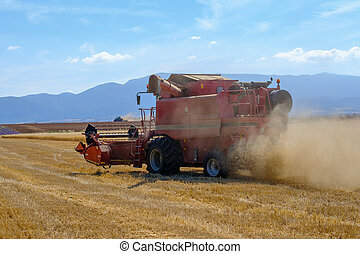 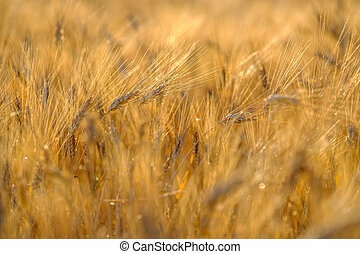 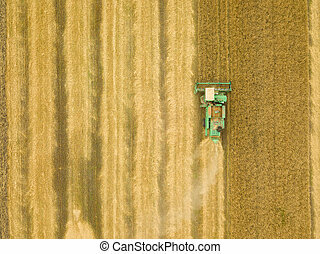 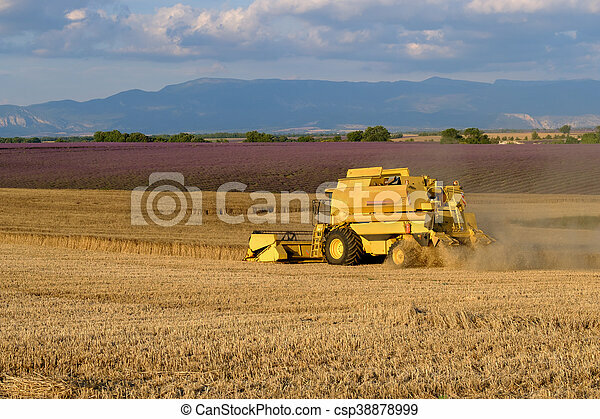 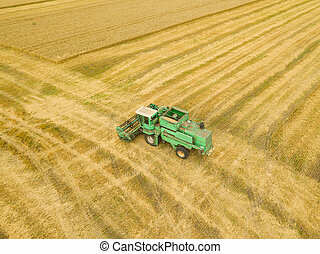 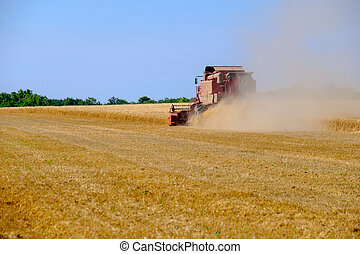 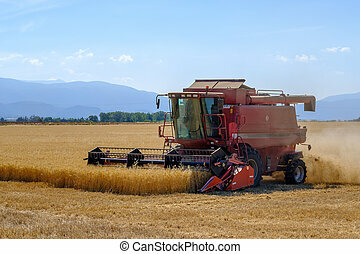 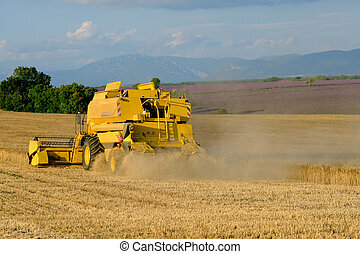 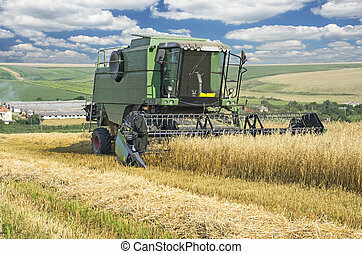 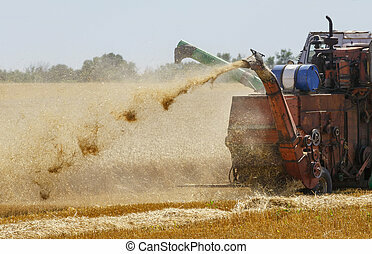 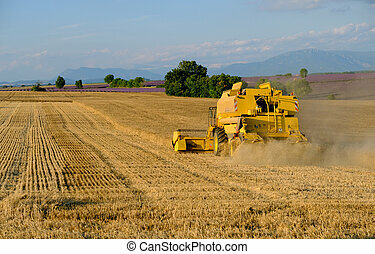 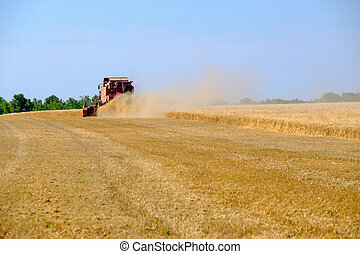 Harvester gathers the wheat crop in a field. 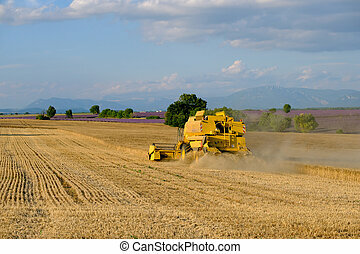 Combine harvester working on the wheat field. 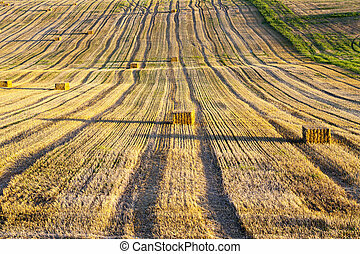 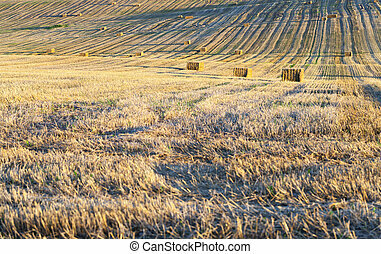 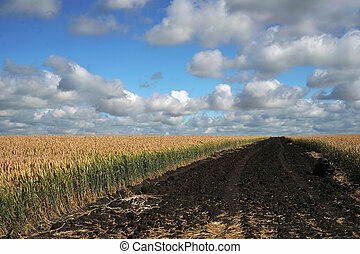 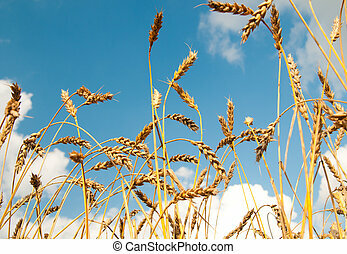 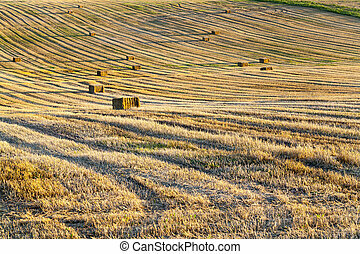 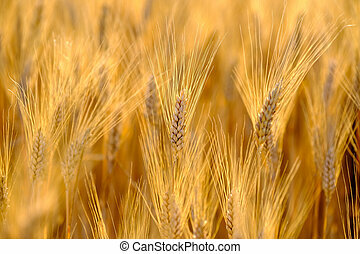 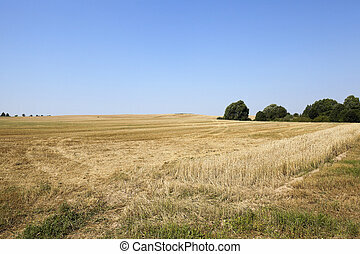 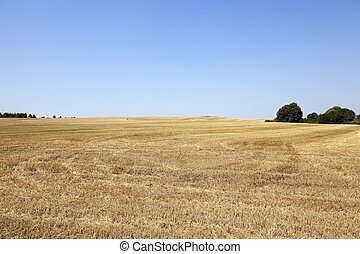 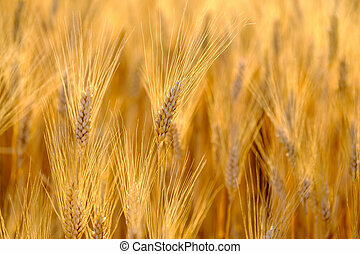 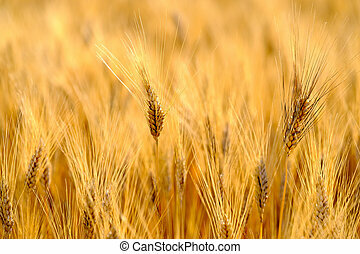 Agricultural field on which wheat harvest gathered. 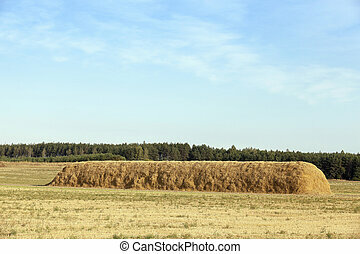 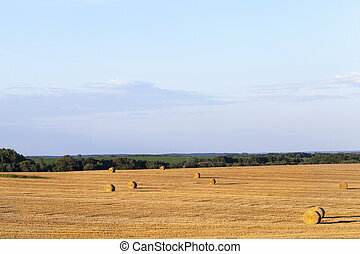 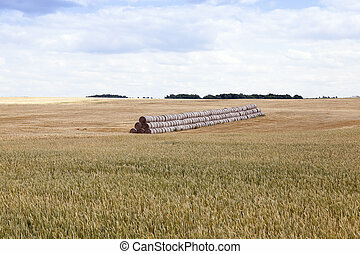 Bales of straw square shape. 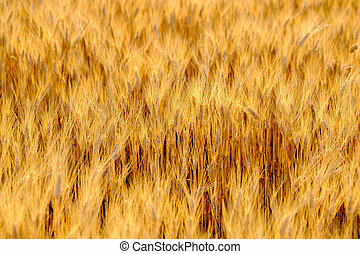 The photo was taken with a small depth of field.